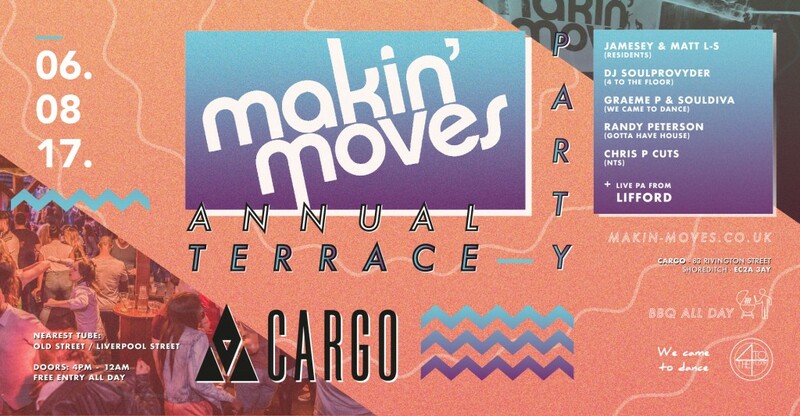 Makin’ Moves head back to Cargo for their annual summer terrace party on Sunday 6th August… This event has been a roadblock for the last two years so make sure you arrive early! Jamesey and Matt L-S our residents will be providing their unique brand of deep soulful house and laying down exclusive music from their label outside on the sunlight terrace. The boys will be joined by some of their London DJ friends djsoulprovyder (4 to the Floor), Graeme P & Souldiva plus more DJs and PAs to be announced shortly! + more djs and PAs TBC! Frank has worked with many of the entertainment industry%u2019s giants including but not limited to: Prince, Branford Marsalis, George Duke, Patrice Rushen, Gerald Levert, The Rude Boys, Phil Perry, Tommy Davidson, Fred Hammond, John P. Kee, Chaka Khan, Songwriting duo Kenny Gamble and Leon Huff, D.J. Jazzy Jeff and the Fresh Prince (Will Smith), Frankie Beverly and Maze, Teena Marie, Lalah Hathaway, Terri Lynn Carrington, Phyllis Hyman, Valerie Simpson, American Idol’s Rickey Minor, Philip Bailey, Teddy Pendergrass and so many more. 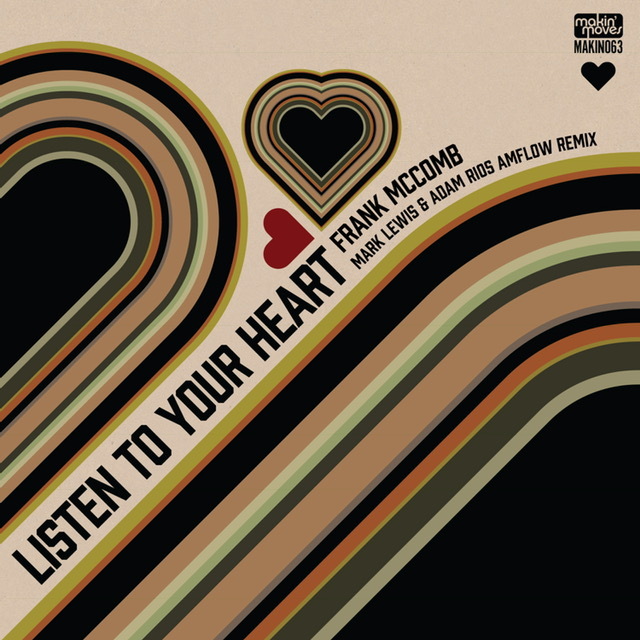 ‘Listen To Your Heart’ came out in 2000 on an album called Love Stories. New Jersey house producers Adam Rios and Mark Lewis aka AMFlow loved the original song and felt the hook would work nicely with a house music beat and made a special mix for themselves that they would play out in dj sets. We heard the new mix and sent it to Frank asking if we could release it and he loved it so much he re-sung the vocals and the rest they say is history! AMFlow are Adam Rios and Mark Lewis hailing from New Jersey, USA. Adam has been in the industry for many years mostly producing house music with legend Timmy Regisford and the Shelter crew for many years and has recently stepped up his solo projects with Vega Records. This exciting side project with Mark Lewis is called AMFlow. Expect to hear more form these guys later this year!